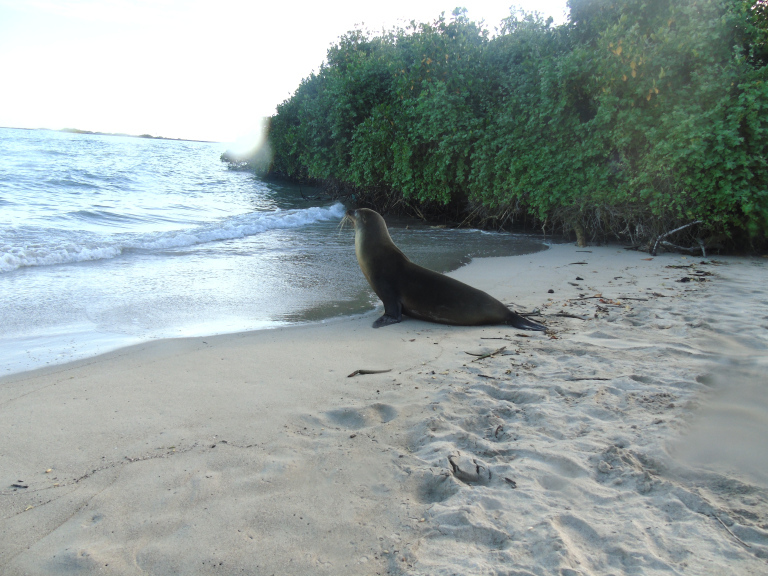 When you arrive at the Galapagos Island you will be greeted by a tourist guide who will to take you to Santa Cruz. In about 45 minutes you will be in Puerto Ayora – hotel. Check in the hotel. Lunch. Then we will go to GRIETAS. In this unique place we will have the chance to snorkel into a canyon formed by the sea water into the land, in this area we will also have the chance to see blue footed boobies, red crabs, frigate bird, and other bird species. Finally, enjoy the ALEMANES BEACH. In the morning, visit the TORUTGA BAY BEACH. This is one of the largest white sand beach of the archipelago, an excellent place for swimming, snorkeling, kayaking, surfing or just walking. 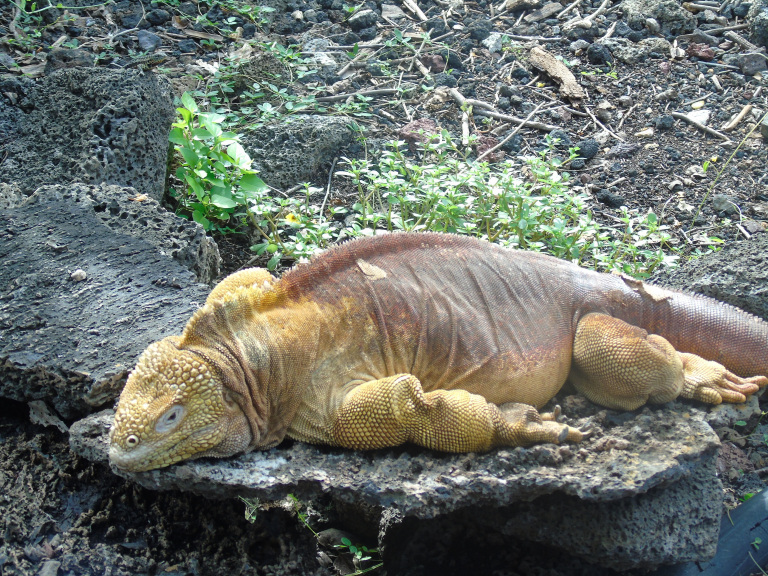 The marine iguanas, sharks and sea turtles can be seen along a small right path for visitors. Migratory birds can be seen walking along the coast and enjoy bird watching. 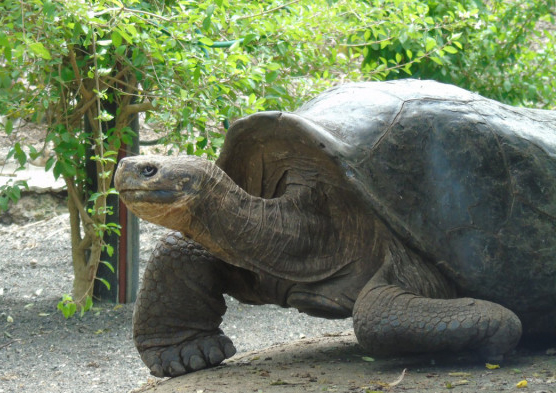 In the afternoon, we visit CHARLES DARWIN RESEARCH STATION and its Interpretive Center, with help from the IUCN, UNESCO, and conservationists worldwide. Charles Darwin Foundation was founded under Belgian Law in 1959. Since then, CDF has been a key organism to stabilize the ecosystem and preserving the natural wonders thar the island has to offer. Here we will have the great opportunity to see and explore this famous place. Pick up from the hotel at 0800 aprox. In the morning, Speed boat to the most haunted Island history in Puerto Velasco Ibarra boats. Visit the top of the island. Heaven of Peace & Cueva de Sucre: the first one was the cave of pirates and the second one is the freshwater side. These places have history, since it was the home of the first settlers of the island. Then we go to Playa Negra. Lunch at a local restaurant. 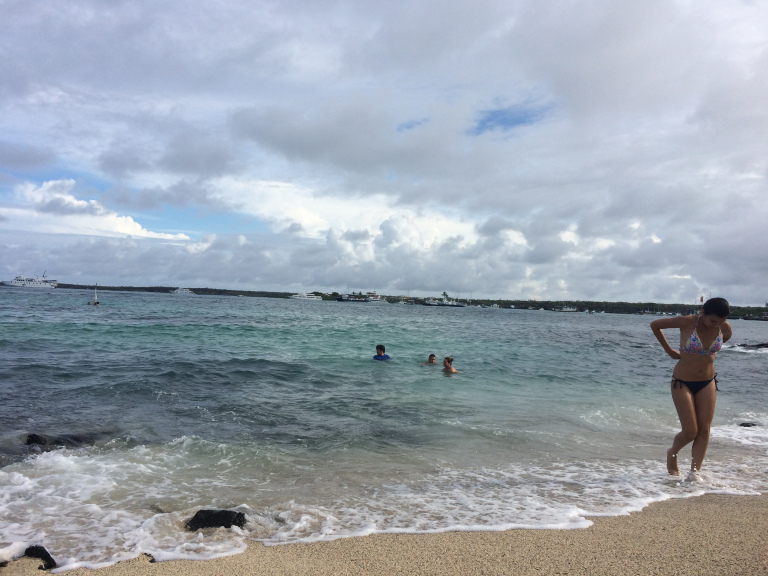 Snorkelling in Lobería (the main attractions that the beach and the bay have are: sea lions, marine iguanas on the shores and reefs at the bay. Return to Puerto Ayora. Members: We have 2 people confirmed – 23.05. – 06.06 - join in our group - Contact us!